Some of the best scents out there are found right in my clean clothes. It’s sort of weird, I guess. As I take clothes out of the dryer and begin to fold them, I smell each garment. There is something about the smell of clean clothing that I love. The last detergent I purchased was GAIN Lavender and I’m becoming a bit obsessed. The scent is so awesome. I think I add an extra 15 minutes to my laundry time just so my neurotic self can smell the clothes over and over again. I’m being honest. Disclosure: I was provided GAIN detergent (I did purchase the one I mention and photograph in this post) to compensate my time. All opinions and scent obsessions are my own! 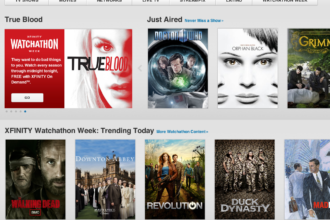 Apparently it’s not just me. Dr. Alan Hirsch from the Smell & Taste Treatment and Research Foundation, states that certain aromas, such as the ones from fresh-smelling clothes, induce people to feel happier and more optimistic and positive. Lavender has been shown to reduce anxiety and I’m proof that it just might do that – at least when in the laundry room! It’s one of the best scents for a non-stop mom like me. Think about how you feel when smell cookies baking in your home. You get hungry and happy. How about the scent of coconut? That makes me think of the beach and instantly relaxes me. Think of the successful market for scented candles. Those candles give off a scent that bring about fond memories, happy times or other good moods. It makes sense to induce those scent moods right on our clothing…we wouldn’t want to be scent insufficient! I’ve tried 4 of the GAIN’s scents. Apple Berry Twist and Butterfly Kiss are next on my list! Will they be some of the best scents? What’s the best scent from GAIN? Share your favorite GAIN scent to win a 1 year supply of detergent! Imagine all the sniffing you could do! Ready to join the scent obsession with me? 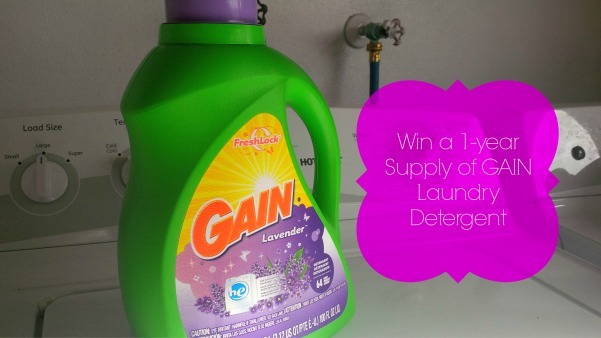 I am offering one reader a one-year supply of GAIN detergent! Follow steps below to enter! I used to use gain growing up ! Need to revisit it, love fresh smelling clothes. I don’t have a favorite. As long as my clothes smell clean, I’m happy! I Love Fruit Scents, Gain Apple Mango Tango Is My Favorite! Apple Mango Tango Is My Favorite Gain Scent. Detergent HAS to smell good. I love Apple Mango Tango. I like any fresh scent, nothing too fruity. I like that clean fresh air smell! I like a fresh linen scent! I love Apple mango Tango! !